It is only possible to override user profile data for a website bot. To qualify a lead, it is essential that we collect user information that will help us re-engage at a later time. 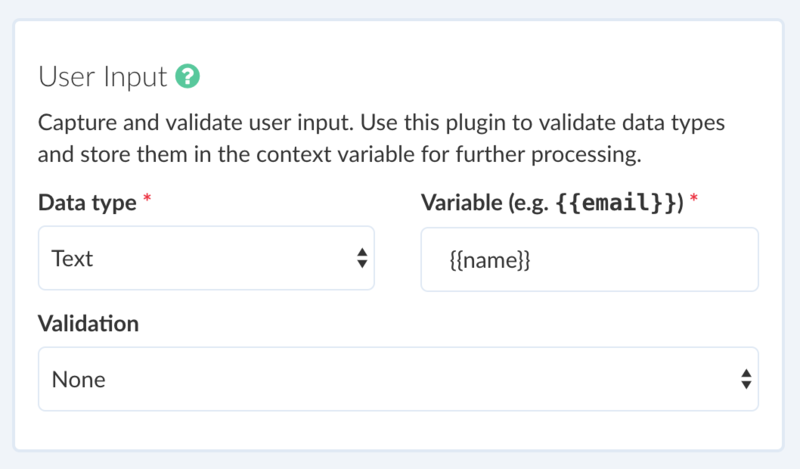 There are built-in user attributes that can be set automatically from input to achieve just that. This is then available in the audience section, which can be used to create a segment and re-target at a later time. In the above example, we have used name which uses an expression based convention and tries to resolve the first_name and last_name automatically. Collecting user information in this way is useful for unauthenticated flow and lets you qualify leads better.